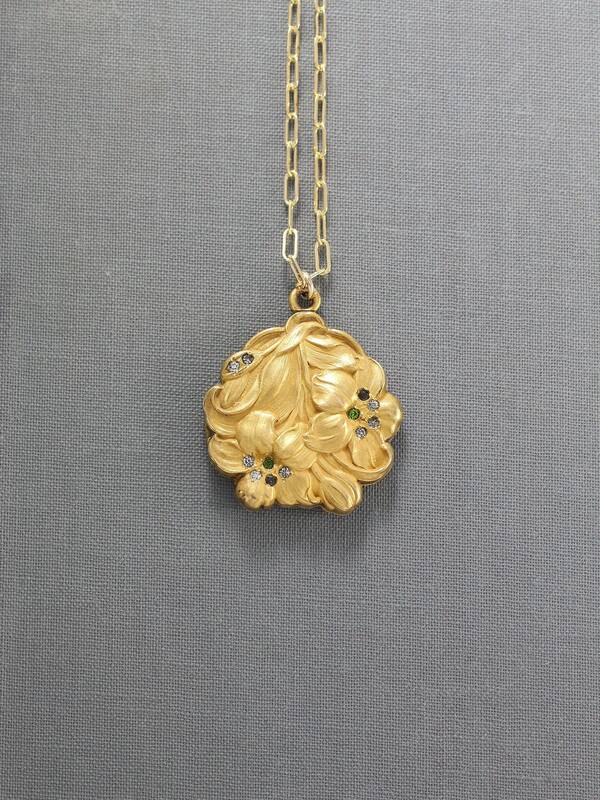 A stunning, rare art nouveau locket is fashioned as two lilies sweeping open from a pad of leaves. The wonderful lilies are set with sparkling stones (I believe they are paste stones -an antique process of creating quality faux stones). Nine stones are colorless while two accent stones are a wonderful green. 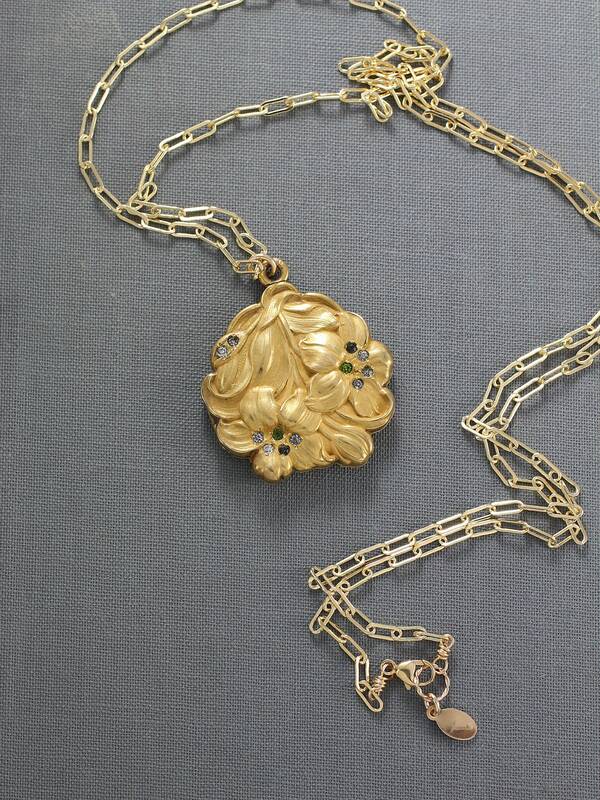 The gorgeous sweeping lines and scalloped edges of this antique gold filled locket create a beautiful silhouette. 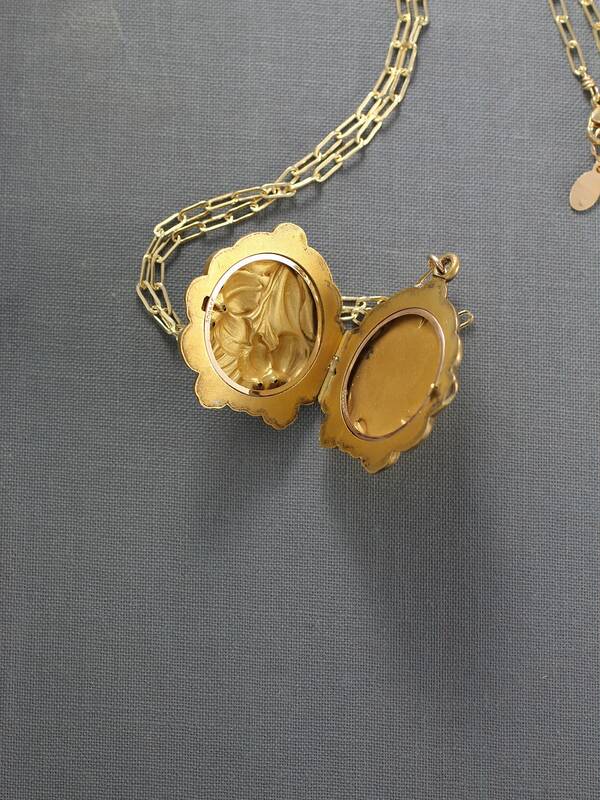 The back of the locket remains plain with a border of vine like embossing. 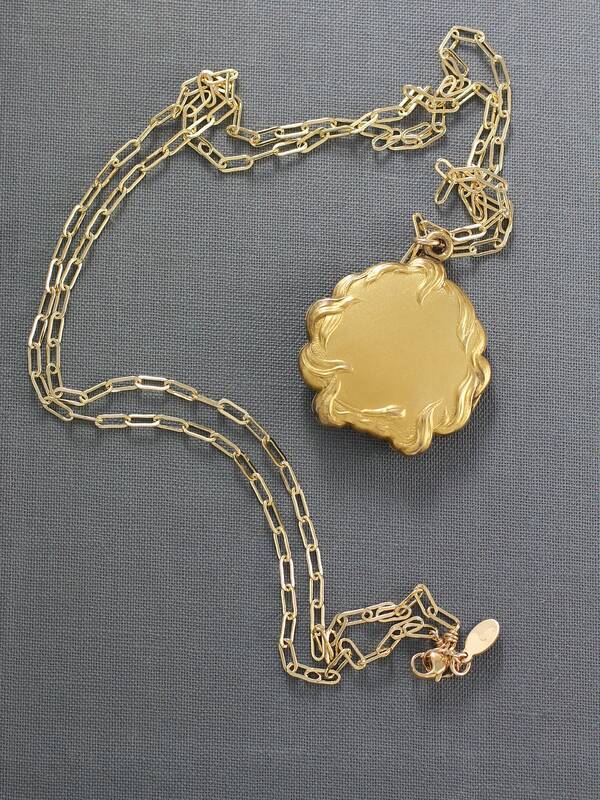 The locket opens to reveal two removable frames ready to hold your beloved photographs. 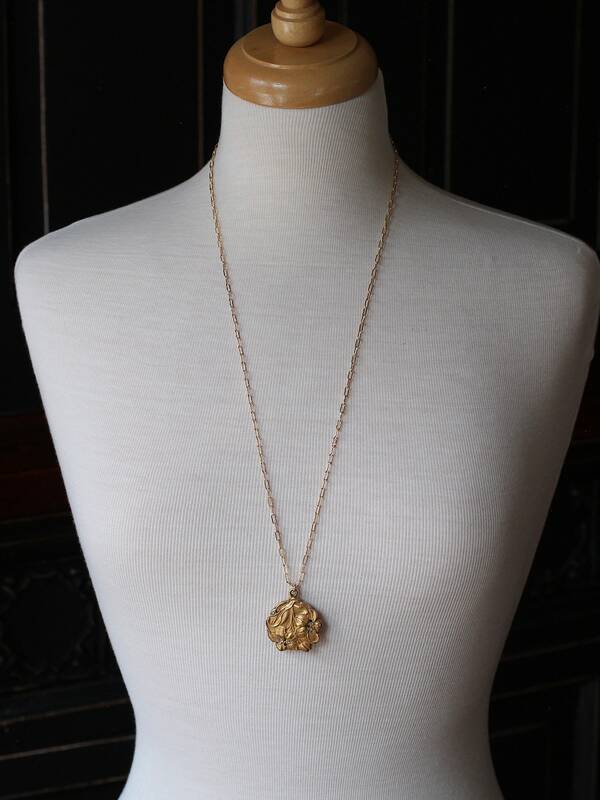 The locket dangles on a new long 14k gold filled chain hand finished with a lobster clasp and ring.